Tube Size: To fit 1" (25.4mm) diameter body tube scopes. Reach Forward / Backward Design. Clamp Design: Single Clamp (two bolts on each cap). 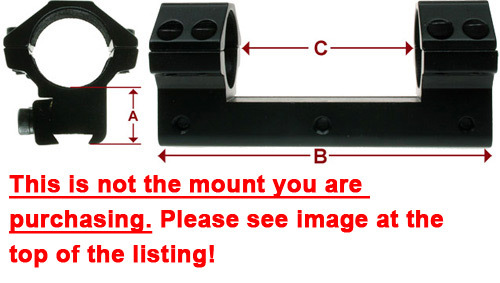 Sportsmatch offer huge selection of quality mounts - All Made In England!